Updated: 12:33 p.m. | Posted: 7:05 a.m.
Christopher Wray, a white-collar defense lawyer with a strong law enforcement background who represented New Jersey Gov. Chris Christie in the Bridgegate scandal, was announced Wednesday as President Donald Trump's pick to head the FBI. In an early morning two-sentence tweet, Trump said he intended to nominate Wray, a high-ranking official in George W. Bush's Justice Department. That word came one day before the FBI director that Trump fired last month, James Comey, was to testify in public on Capitol Hill for the first time since his dismissal. Trump, in a statement later Wednesday, called Wray "an impeccably qualified individual." 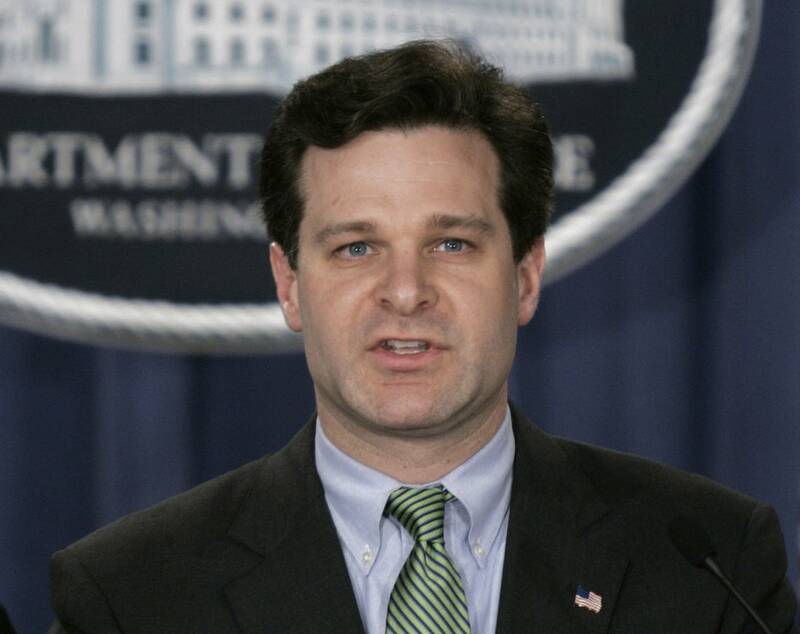 Wray rose to head the department's criminal division in the Bush administration and oversaw investigations into corporate fraud, at a time when Comey was deputy attorney general. Wray took charge of a task force of prosecutors and FBI agents created to investigate the Enron scandal. He also played an important role after Sept. 11, providing oversight as the FBI and Justice Department shifted their focus to counterterrorism and performing "superbly during the incredibly intense period," according to the current attorney general, Jeff Sessions. Sessions said in a statement that Wray "combines a brilliant legal mind, outstanding accomplishments and a proven record of public service." Wray is a traditional choice for the job. Trump had considered current and former politicians, including former Sen. Joe Lieberman, D-Conn., and some FBI agents worried that Trump would try to politicize the bureau. House Speaker Paul Ryan, R-Wis., said Wray seemed like "the perfect kind of person" for the important job. Ryan said he favored a "career person" and that Wray "certainly seems to fit that bill." Reaction to Wray was slow on Capitol Hill as lawmakers weren't given advance notice and few in Congress know him. Presidents traditionally give members of the same party a heads up about such an announcement, allowing lawmakers time to prepare positive statements about the nominee. A top Republican on the Senate Judiciary Committee, Utah Sen. Orrin Hatch, said Wray had "impeccable credentials, vast experience and strong support across the board." A GOP colleague was more cautious. "With the many threats that the U.S. faces domestically and internationally, we need a strong FBI director," said Oklahoma Sen. James Lankford, a member of the Senate intelligence committee. "In the coming weeks, we will evaluate Christopher Wray's qualifications to lead the FBI and his plans for our security and law enforcement." The timing of Trump's announcement appeared to be an effort to redirect attention on the eve Comey's testimony before the Senate intelligence committee. Comey is expected to describe his encounters with Trump in the weeks before his May 9 firing. Comey could offer new details regarding discussions with Trump about the federal investigation into Russia's election meddling and possible coordination with the Trump campaign. The White House and its allies have been looking for ways to offset that potentially damaging testimony and have been working on strategies aimed at undermining Comey's credibility. Wray works in private practice for the King & Spalding law firm. He represented Christie in the lane-closing investigation, in which two former aides to the Republican governor were convicted of plotting to close bridge lanes to punish a Democratic mayor who wouldn't endorse Christie. During tense times, Christie said he would make one call: to Wray. The two met and bonded when Christie was the top federal prosecutor in New Jersey in the Bush administration. Christie said the president made an "outstanding choice" for FBI director, calling Wray an independent, nonpolitical pick. Law enforcement ought to be "thrilled," Christie said. Alice Fisher, who followed Wray as head of the Justice Department's criminal division and also interviewed for the FBI post, called Wray "an excellent lawyer who will provide even keeled leadership" and already has strong ties to the FBI.